All those wishing an incredibly accurate cosmic picture of themselves, or their loved ones, would do well to contact me soon; confident that neither the portrait nor the price will fail to suit. Cut through the fantasy, to the reality that will bring your dreams to light. If you’re in the Toronto area, your first session will likely be done in-person, at a local coffee shop, in the Broadview and Danforth area (East end of the city, along the Bloor line). After that, the majority of sessions (if not all) are done by phone. If you live outside of the Toronto area, your first appointment can be done through Skype video OR they can all be done by phone. If meeting in-person (for your first session of a package), payment can be made for your next session — by cash. A receipt will be provided. You can also make payment at the bank or through Interac Email Money Transfer prior to your first session (see below), and payment by cheque may only be available to regular clients only. Send an INTERAC Email Bank Money Transfer or pay by making a deposit in-branch (existing clients only). Email the password that’s used so the payment can be picked up electronically. Each service offered has a Paypal payment button attached to it. Use your credit cad through this secure method. No Paypal account is required. Use of credit card is best for non-Toronto clients and clients whom I’ll only be connecting with over-the-phone. Compatibility or Chemistry Reading (Synastry): What attracts and repels you to a person of interest and vice versa. Couples Therapeutic Dialogue: Both yourself and your loved one are present during these conversations. Business or Project: If you run or are in the process of running a business or project, this session is for you. Pre-formed and Free-form questions can be asked after the session package is completed. For new clients, three sessions are required to fully explore your operating manual, and part of your repair manual. A maximum of three questions, or themes may be asked during your thorough examination of your personality, psychology, and operating manual. You’ll also be given a non-medical prescription on how to repair problem areas. 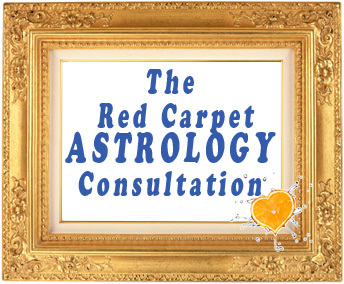 The synastry consultation package adds the purchase of two natal sessions. So we do your natal chart, their natal chart, and your combined chart (3 sessions). A maximum of three questions may be asked during your thorough examination of each of your personalities, psychology, and operating manuals. You’ll also be given a non-medical prescription on how to repair problem areas in your relationship. We’ll go through the whole chart of your business. Who your best customers are. Where and from who you can find money from? How the public sees your business or services being offered. Your relationship with employees. When to hire new staff, and so on. All one-off consultations require a previous package consultation or the Learn & Know Astrology lessons — completed within the last 3 months. Then, to keep up-to-date, no more than 2 months should pass before receiving another rescue and remedy reading. In either case, should these time periods lapse, a Refresh natal, synastry, or business reading — is required to bring your operating and repair manual back to consciousness along with your one-off reading request. AspectDoctor™: Identify, and learn how to resolve and heal challenges as well as play up strengths and gifts. Chart Reports: Written reports about various life issues. Personal transit sessions can be booked for 15 minutes, 30 minutes, 45 minutes, or 60 minutes. One to two sessions are recommended for your solar return Birthday Reading. A session to ask about your chart or the chart of the person you’re concerned about, can be booked for 15 minutes) – 1 question, 30 minutes, 2 questions, 45 minutes, 3 questions, or 60 minutes, 4 questions. Astrology reports are pre-written but other astrologers. They can be quite a useful tool, and I offer them in combination with a personal 30 minute consultation about the reports in my own words. My rates are based on my expertise (Certified Professional Tarot Reader who is accurate); breadth of ability (astrology, numerology, palmistry, tarot, pendulum, handwriting analysis, psychic, medium, face reading, etc); my session difference (reading (tells), coaching (asks), counseling (heals), consulting (advises), exploring (discovers), and guiding (teaches); education (business, career & work counseling, and art); outside work experience (people manager, business analyst, customer service, training manager); inside work experience (over a thousand readings — I stopped counting!! hehe); demand (there’s a lot of people who want sessions from me); availability (I’m often scheduled 1-2 weeks in advance); preparing for your first session and follow up; seriousness and dedication in providing psychic services full-time; and many more reasons.